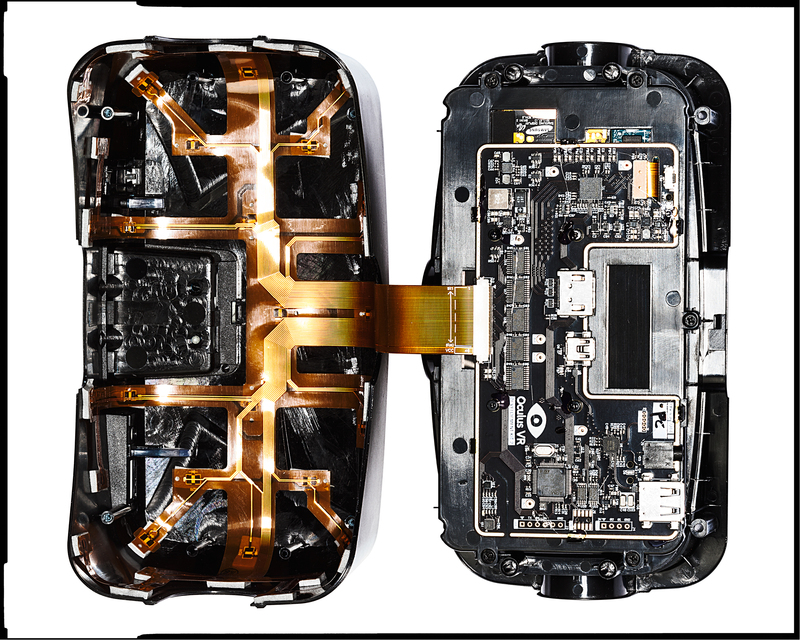 The Genesis of the Oculus Rift « Adafruit Industries – Makers, hackers, artists, designers and engineers! Before Oculus Rift, the virtual reality headset was starting to collect dust in the museum of pie in the sky products. Beside it sat a hover board and across the room was a menagerie filled with commuters riding jetpacks. But there were a few individuals who would not abandon VR to this fate, and set out to revive (and vastly improve) the technology. Wired ran a piece that recounts the early days of the Rift and how the founders made it what it is today. The Brain — The biggest challenge in creating realistic VR is getting the image to change with your head movements, precisely and without any perceptible lag. The Rift fuses readings from a gyroscope, accelerometer, and magnetometer to evaluate head motion. Even better, it takes 1,000 readings a second, allowing it to predict motion and pre-­render images, shaving away precious milliseconds of latency. The Display — Even the best LCD can take 15 milliseconds for all its pixels to change color. The Rift uses AMOLED screens, which can switch color in less than a millisecond. Oculus also figured out how to deactivate those pixels rapidly so the image doesn’t smear or shake when you whip your head around. The Optics — You want an image that fills your entire field of vision without distortion. Typically that requires heavy, expensive lenses. The Rift uses a pair of cheap magnifying lenses, and Oculus developers distort their games so they look right when viewed through the optics. Positional Tracking — Previous VR headsets let you look around but not move around. The Rift’s small external camera monitors 40 infrared LEDs on the headset, tracking motion and letting you crouch, lean, or approach an in-game object.